Beauty Marx offers a range of non-invasive medical treatments that may appear to roll back the years and improve your skin's health. All recipients of medical treatments, including Botox and Laser, are required to schedule an initial patient consult with our practice's physician (as per Pennsylvania Law). 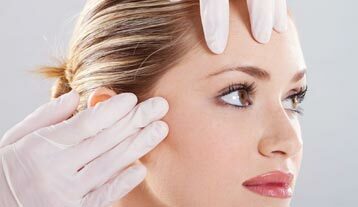 ﻿BOTOX® treatment is a revolutionary approach to reversing the affects facial wrinkles. Crow’s feet, worry lines and laugh lines can all be a thing of the past. These are referred to as dynamic wrinkle lines and may be treatable with this procedure. JUVÉDERM® XC is used to help smooth moderate to severe parentheses lines and wrinkles to create a smoother appearance. ​JUVÉDERM® Ultra XC may add fullness to lips. JUVÉDERM VOLBELLA® XC may plumps lips and soften lines around the mouth. JUVÉDERM VOLUMA® XC may add volume to correct age-related volume loss in the cheeks in order to help create a more youthful appearance. NovaThreads are the optimal injectable treatment for the lower face and neck. The sutures come in different forms that may tighten, lift and produce collagen. A lunchtime face lift or "thread lift" with PDO threads is intended to treat wrinkles, saggy jowls, neckline, nasal labia folds, glabellar lines and more. PRP is plasma that contains many more platelets than what is usually found in blood. The platelets are concentrated, so they contain a high concentration of growth factors (5-10 times greater than usual). This type of therapy is applied towards non-invasive facelifts, male & female hair regrowth and orthopedic treatments of the joints, such as tennis elbow or repairing tendinitis.